Sunnyvale, California. July 10, 2014 – Lockheed Martin has successfully completed environmental testing of the U.S. Navy’s third Mobile User Objective System (MUOS) satellite and the satellite is now in final check out. The Navy plans to launch this addition to its satellite constellation in January 2015. 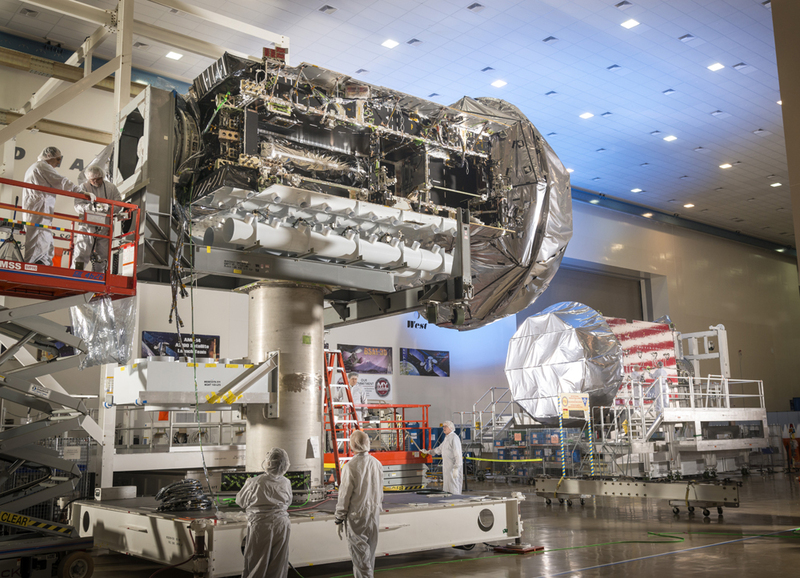 The MUOS satellite recently cleared thermal vacuum trials, which validate performance in simulated space conditions. The satellite was stressed at extreme hot and cold temperatures in a vacuum at Lockheed Martin’s Dual Entry Large Thermal Altitude chamber, simulating the environments the satellite will experience throughout its mission life. The satellites are equipped with a wideband code division multiple access (WCDMA) payload that leverages commercial cell phone technology. MUOS provides a 10-fold increase in communications capacity compared to the current legacy Ultra High Frequency (UHF) system. Additionally, the WCDMA payload gives users the advantage of high-speed data and priority access that legacy systems did not. Lockheed Martin Space Systems, in Sunnyvale, California, is the MUOS prime contractor and system integrator of the five-satellite constellation, which includes four operational assets and one on-orbit spare. The Navy’s Program Executive Office for Space Systems and its Communications Satellite Program Office, San Diego, California, are responsible for the MUOS program.